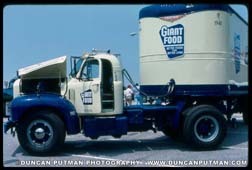 To trucking veterans of a certain age, there is no truck more recognizable than the venerable Mack B-model. 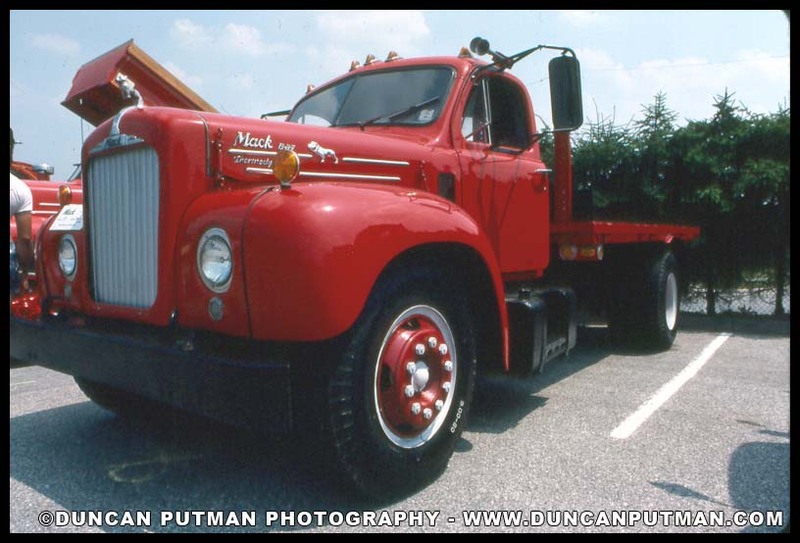 Produced from 1953 to 1966, Mack manufactured close to 90,000 B-models starting (numerical order, not vintage) with the B-13 and ending with the B-8136. The most widely manufactured models were the B-42 at over 19,000 units and the B-61 at over 47,000 units. For some models, there was only one unit produced such as the B-4626 and the B-37, pictured in this article. 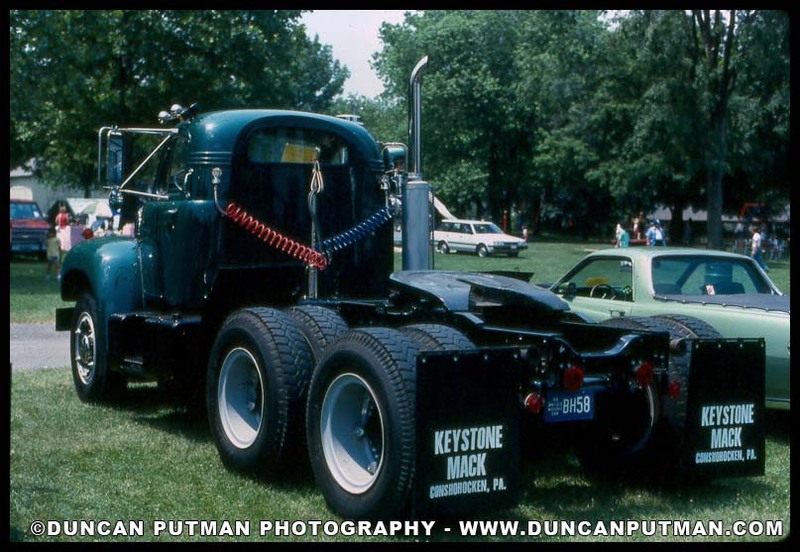 Although many B-models were powered by Mack diesel engines ranging from 170 hp to 320hp, the gasoline powered Mack Magnadyne was available as standard equipment in the B-42. Transmissions had as many as 20 forward speeds including the two stick Quadruplex (20 speeds )and Triplex (15 speeds) as well as the one stick 10-speed Unishift. 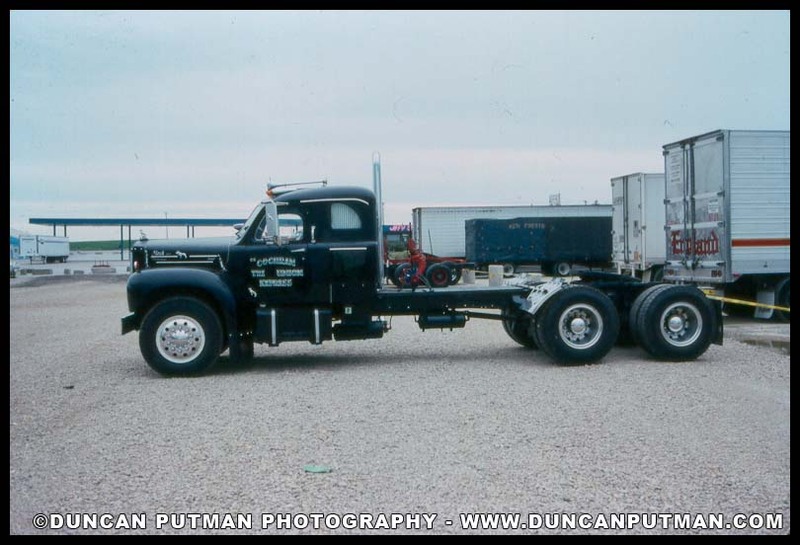 The Contour Cab was especially popular with East Coast trucking companies because it had a six inch concavity in the back of the cab so as to facilitate a closer tractor/trailer coupling to allow for a longer trailer to be pulled in the states with short truck length laws. The B-model could be ordered from the factory with an integral sleeper cab, popular with many Southern truckers, or equipped with Mercury or other after market bunks. Even though it’s been over 50 years since production ceased, some mighty B-model s can still be seen hard at work, especially, at off- road and construction sites, mostly hauling loads as tandem dumps, cement mixers, flatbeds, etc. While there is still some B-Models in the world earning a living for their owners, many of these beloved trucks are now owned by collectors and have been meticulously restored to like new condition. Just attend an ATHS OR ATCA event, and many of these B-Models can be seen gleaming in the sunlight with their Bulldog hood ornaments proudly on display. Want to see more Mack B-Models? Become a member today to view more of our trucking photography!